Good evening! Jess here to share my take on our newest Rainbow challenge! 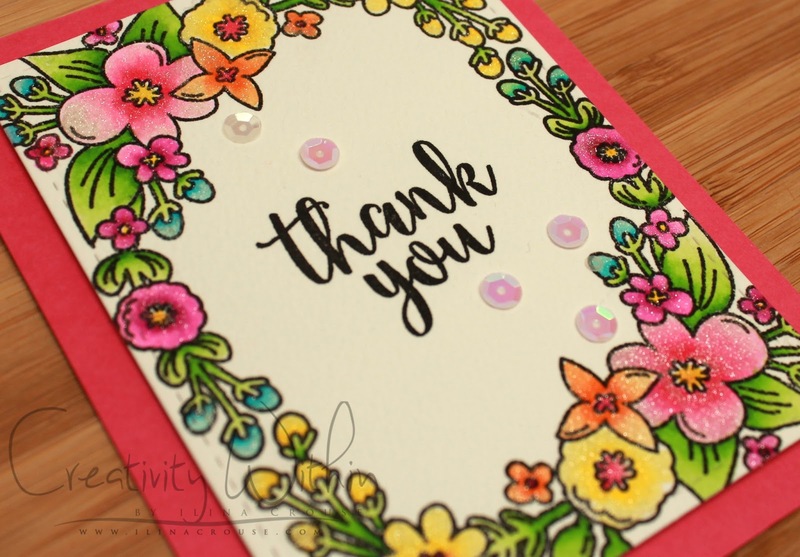 This month we are collaborating with Avery Elle and I decided to break out one of my all-time favorite stamp sets for this card! I just love the More Stories stamp set from Avery Elle! The critters are absolutely adorable and there are SO many images in the set! 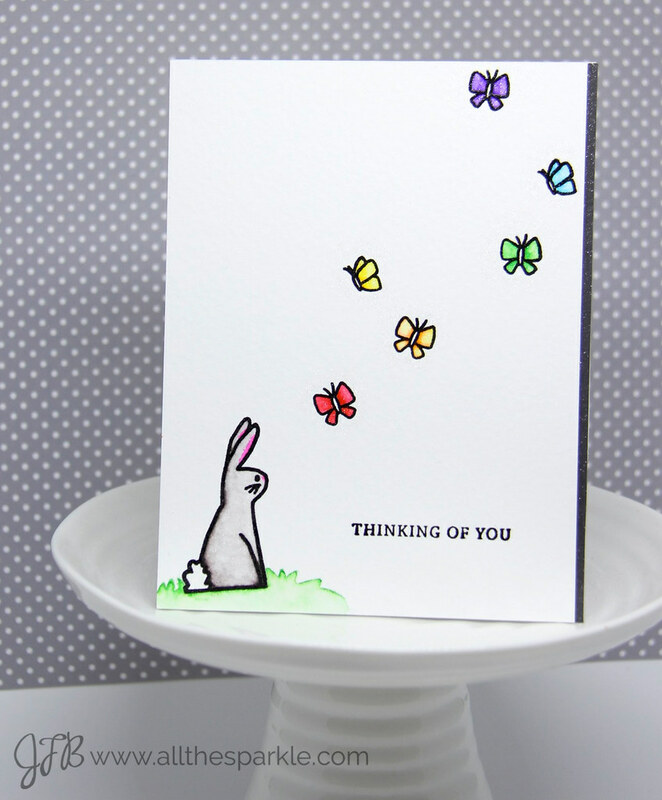 To create my card I stamped the heat-embossed the sentiment from Hero Arts, the butterflies, and the bunny on watercolor paper. Then I used my zig clean color real brush markers and a waterbrush to color the bunny and the butterflies. I also stamped the grass by inking the stamp with my marker and then used a waterbrush to blend out the grass. 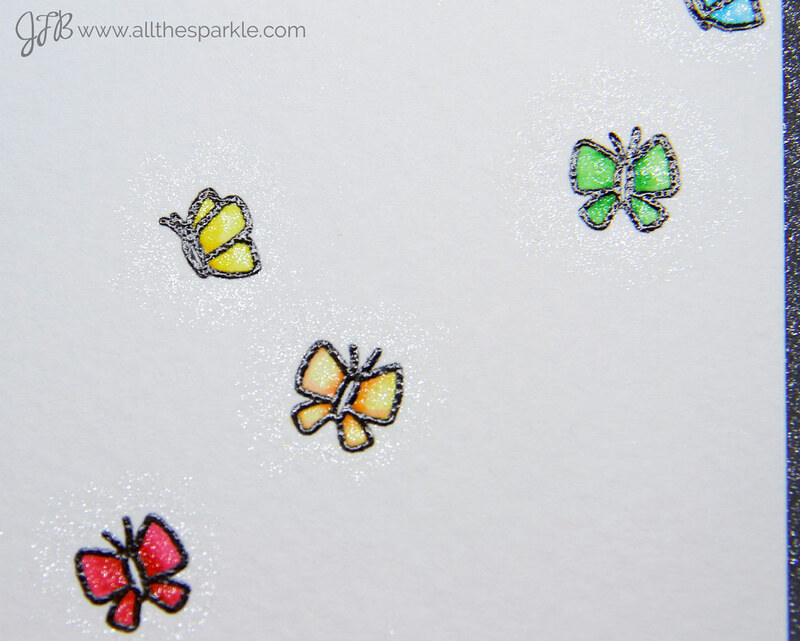 I also added little halos of spectrum noir clear sparkle around each butterfly. Look at all that sparkle!! To finish the card I added a strip of black cardstock and mounted it to a white card base. I also added a little spectrum noir clear sparkle to the black strip. 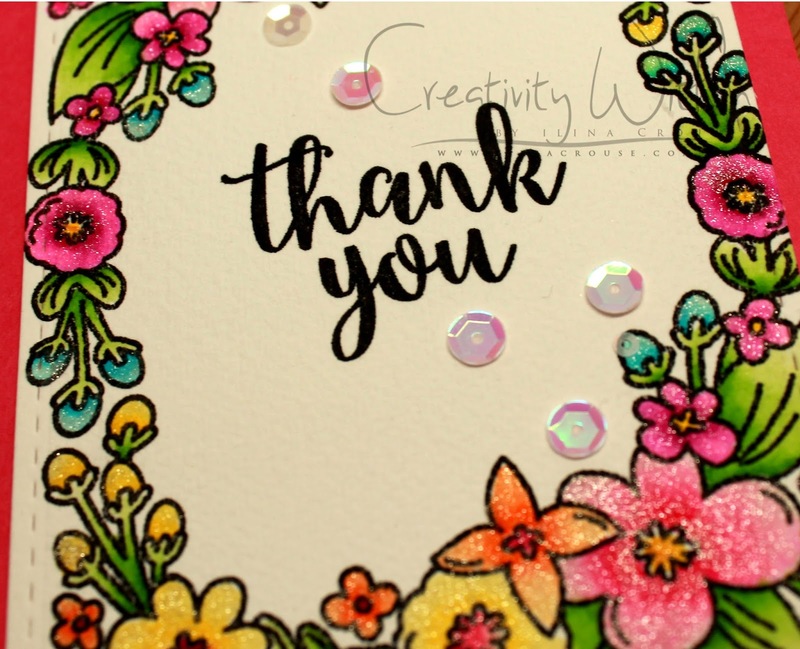 Many thanks to Avery Elle for collaborating with us this month. We can’t wait to see your Rainbow entries!! Thanks for visiting and have a great day! Hello! 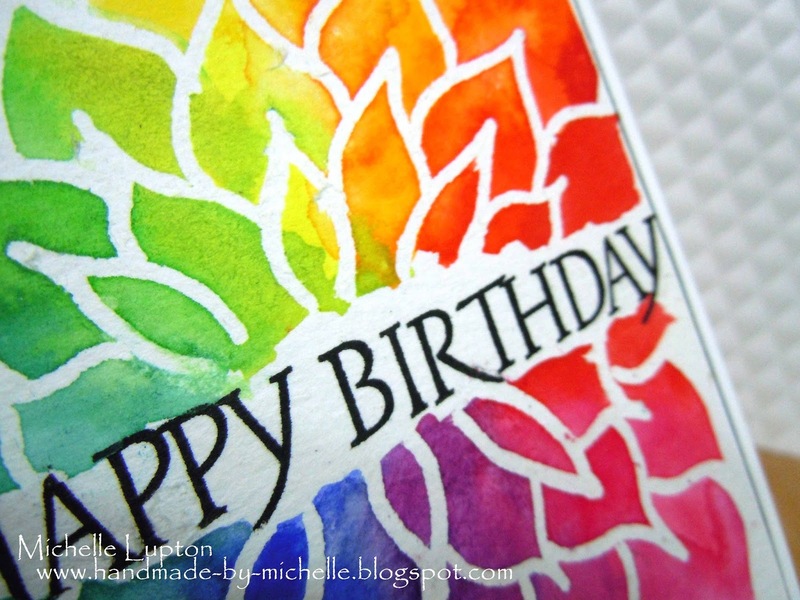 The Crafty Nurse here with a little Hero Arts inspiration for the Rainbow challenge here at A Blog Named Hero. Who doesn’t absolutely love the colors of the rainbow? I know it gives me a happy feeling with all those vibrant glorious colors. This month we are collaborating with Avery Elle, who generously provided the Design Team with stamps to play with. 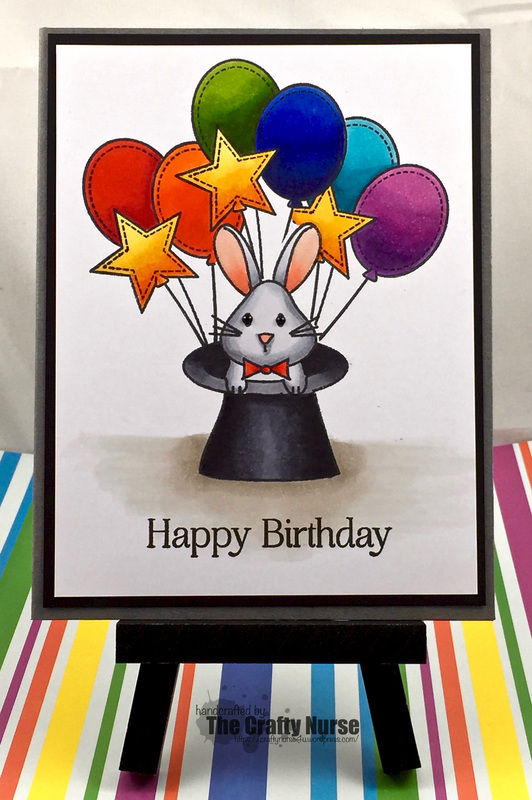 For my card today I started by stamping Avery Elle’s “Pure Magic” bunny which I masked and stamped the balloon and stars from Hero Arts. The image is colored with Copic Markers and finished off with glossy accents and Ranger enamels. 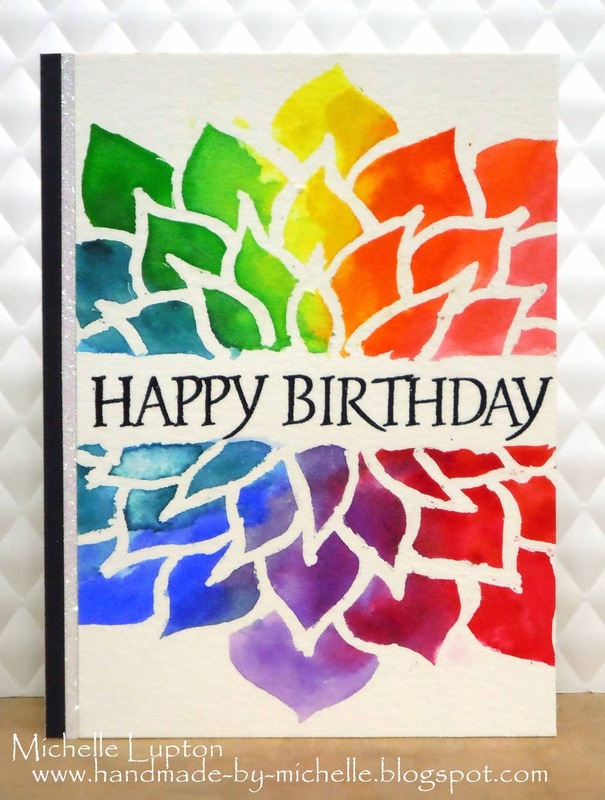 I hope you’ll join us at A Blog Named Hero for our March Rainbow Card Challenge! I’ll see you later on this month with another card showing off more Avery Elle goodness. 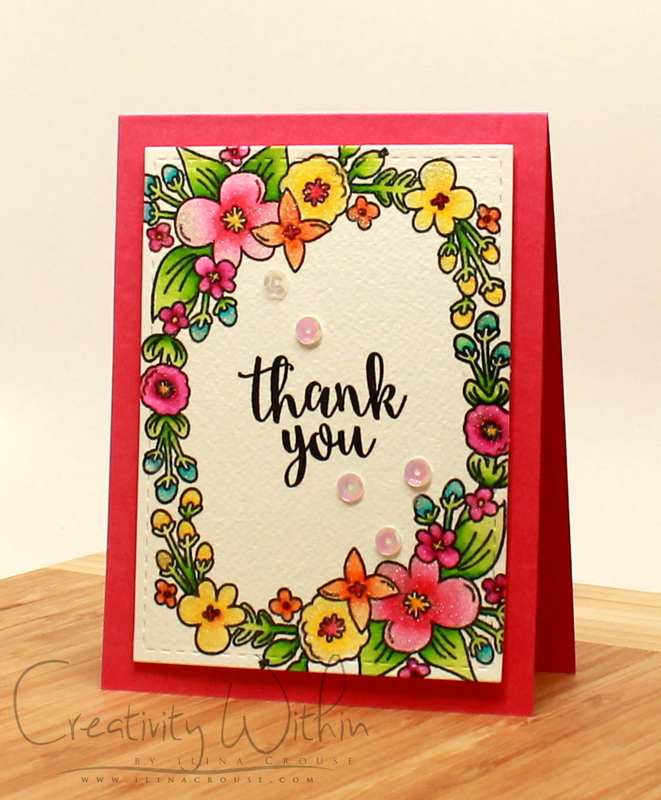 Ilina here today with my collaboration card for this month. Our sponsor this month is the wonderful Avery Elle. Their stamps and dies are just amazing. And the theme this month is Rainbow, So I colored the flowers in rainbow “colors” I started from yellow and stopped at blue, plus green for the leaves. I stamped the image twice to form the frame with Versafine Onix Black ink on watercolor paper, waited to dry and then colored with my Zig Clean Color Real brush markers and at the end I added some Wink of Stella for some sparkle. The perfect positioning was achieved using my Misti tool. Hello, crafty friends! 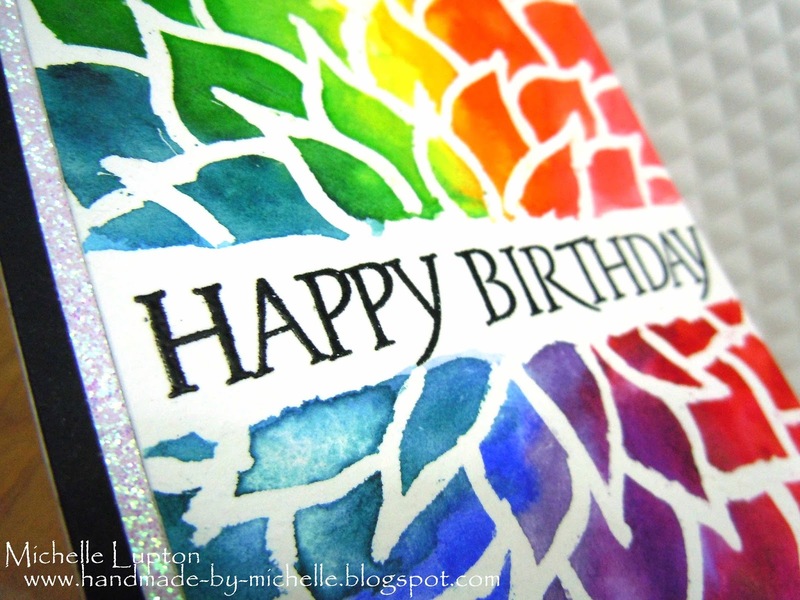 Michelle here today to share a card that I made using my Molotow pen and my Zig Gansai Tambi watercolours. 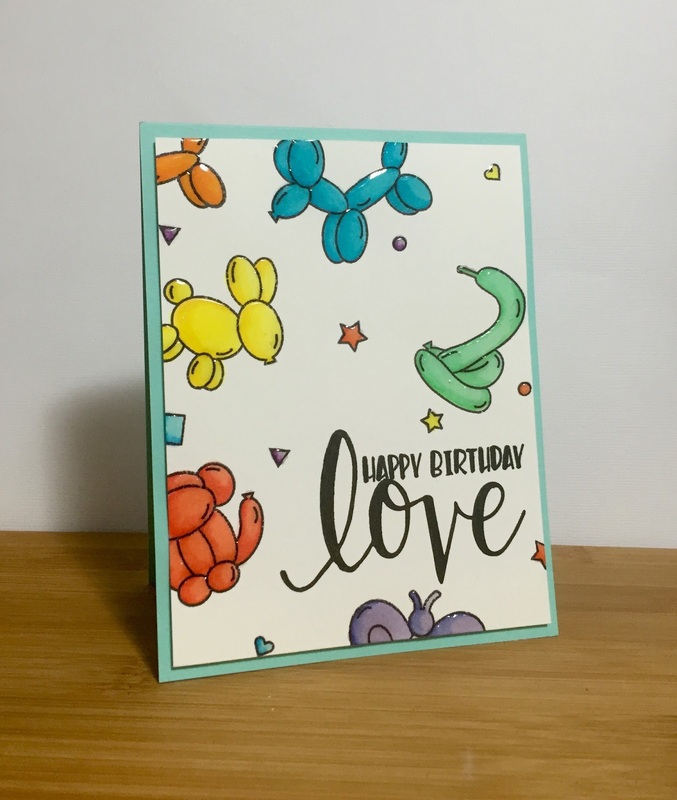 The sentiment is one of my all-time favourite sentiments from Hero Arts – it is in the “Birthday Sayings” set. Unfortunately, this set is discontinued, but there are heaps of wonderful sentiments from Hero Arts that would work well on a card like this. 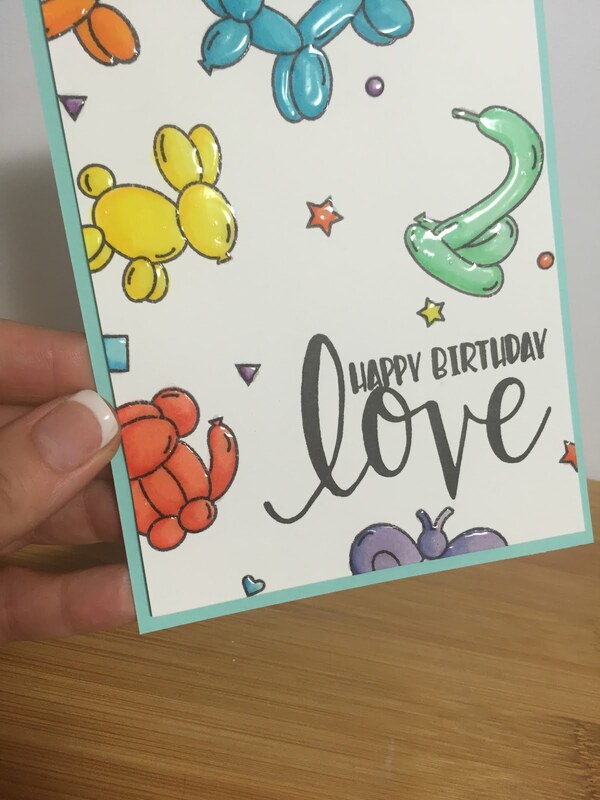 I decided that I wasn’t entirely happy that I didn’t leave quite enough space for the sentiment on this card, so I started again! Very similar card, with a slightly different layout. This time, I embossed the sentiment to add a bit more interest. And I added a strip of glitter. Because glitter. I got the idea for this design from an image on the twitter feed of Karen Salmansohn – you can find the image HERE. 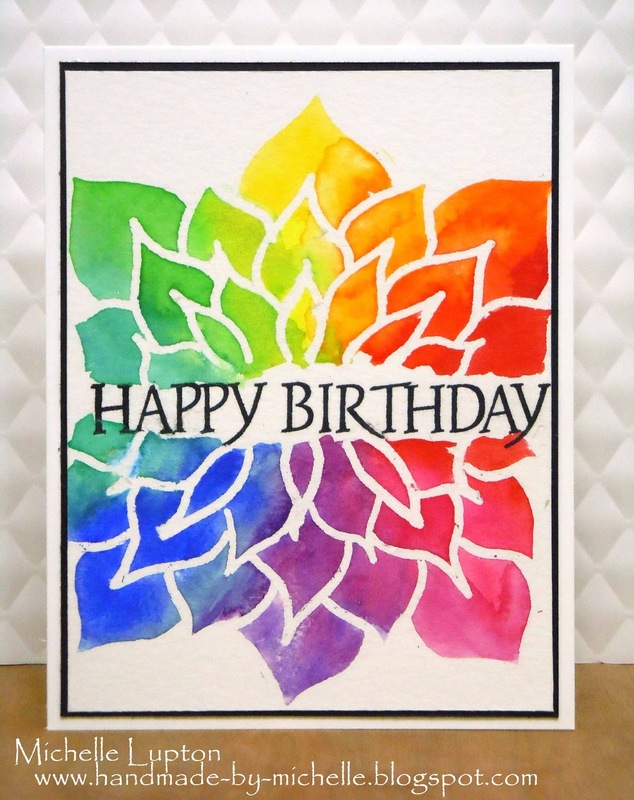 Make sure you link up your your rainbow creation for our challenge this month – we are collaborating with Avery Elle, too! The Inlinkz is in the first post of the month, or click on the link at the top of the sidebar.